What is a Non-Functioning Pituitary Tumor? Approximately 25-30% of patients with pituitary tumors do not have classical hypersecretory syndromes such as hyperprolactinemia, acromegaly or Cushing's disease. These tumors are referred to as clinically nonfunctioning adenomas. Patients often present with signs of mass effects, including headaches and symptoms of pituitary insufficiency. In addition, compression of the optic chiasm frequently results in visual loss, typically loss of peripheral vision. Small nonfunctioning tumors (those that do not make hormones) may be asymptomatic. When these tumors enlarge, they may compress surrounding structures and cause a variety of symptoms, including visual loss, headaches and damage to the normal pituitary gland. Visual loss is typically characterized by loss of peripheral vision but can take other forms. Damage to the pituitary gland can result in hormone deficiencies. This is called "hypopituitarism". Symptoms may result from loss of hormones, including cortisol, thyroid hormone, estrogen or testosterone. It is unknown why these tumors develop. What is known is that they are generally benign, usually slow growing and are often present for years before diagnosis. They are thought to arise from a mutation or mutations in a single pituitary gland cell, but it is unknown why or how this happens, except in a minority of very rare inherited syndromes. Research is ongoing in the MGH Neuroendocrine Unit into the causes of and treatments for these tumors. Complications of non-functioning pituitary adenomas generally arise as they grow large and impinge on surrounding structures, including the optic (visual) system, the pituitary gland and the brain. After surgical removal, visual symptoms will usally improve, hormone function improves in about 50% of cases, and headaches often, but not always, resolve. How are nonfunctioning pituitary tumors diagnosed? Nonfunctioning pituitary tumors are usually diagnosed by MRI. Sometimes an MRI is performed because a patient presents with hormone deficiencies. Other times, it is ordered because of visual loss or headaches. If an MRI demonstates a pituitary tumor, hormone evaluation by an endocrinologist with expertise in pituitary function is indicated to determine whether the tumor is secreting a hormone or causing hormone deficiencies by compressing the normal pituitary gland. If the tumor is large enough to compress the optic chiasm or nerves (visual system), a prompt ophthalmologic exam, including formal visual field testing is very important. 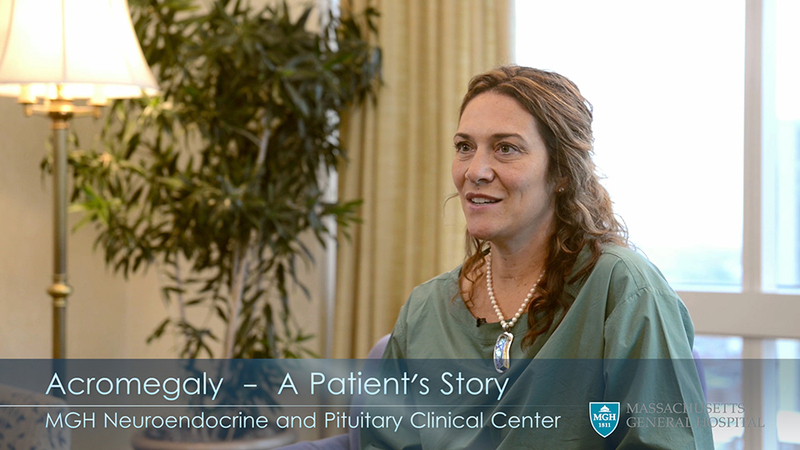 How are nonfunctioning pituitary adenomas treated? The primary treatment for nonfunctioning pituitary adenomas is transsphenoidal surgery. Studies have shown that outcomes are better when the surgery is performed by a surgeon experienced in this specific procedure. FAQs on this procedure are available on this website. When the tumor cannot be fully removed by surgery or recurs after surgery, sometimes radiation is recommended. Some small tumors can be followed closely with serial MRI imaging and treated if the tumor enlarges. There is no effective medical treatment for nonfunctioning pituitary tumors currently available, although this is under active investigation. What research is being done on nonfunctioning pituitary tumors? The Neuroendocrine Clinical and Pituitary Center has a number of ongoing research projects devoted to understanding the cause of pituitary tumors and to developing new treatments. Brain Injury and Pituitary Dysfunction - by Lisa B. Nachtigall, M.D. Clinically Nonfunctioning Pituitary Adenomas: Characterization and Diagnosis - by Larry Katznelson, M.D.